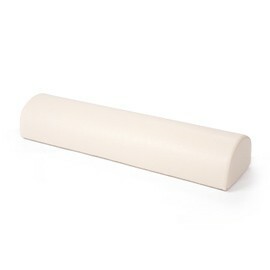 Rehabilitation half-rolls are made of anti-crease polyurethane foam as well. Such half-roll is a perfect aid for treatment, physiotherapy exercises or massage and there is quite a range of colours of its padding. It is possible to select the half-roll according to the treatment requirements, as there are three sizes available: 1000x500mm, 600x200mm and 600x150mm.